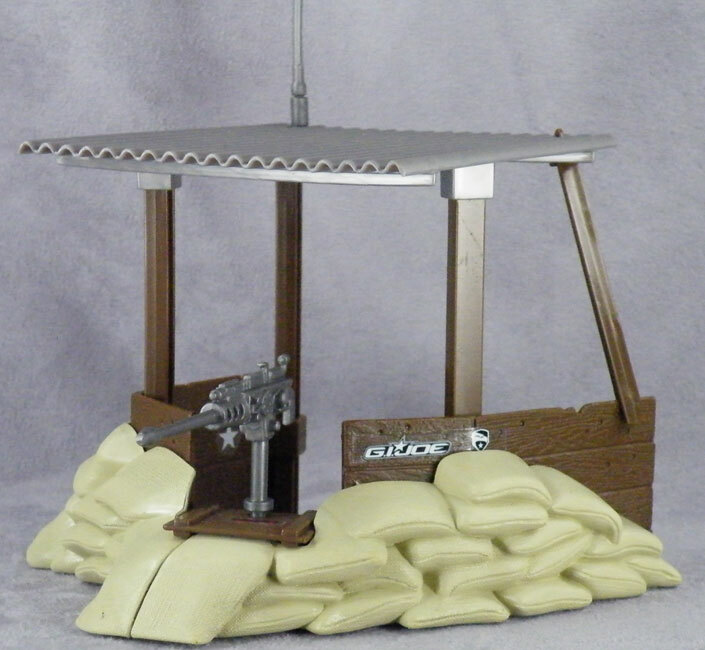 Back in 1984 & 1986 Hasbro released a little battle station play-sets for Action Force/GI Joes one was called Missile Defence Unit and another called Outpost Defender. 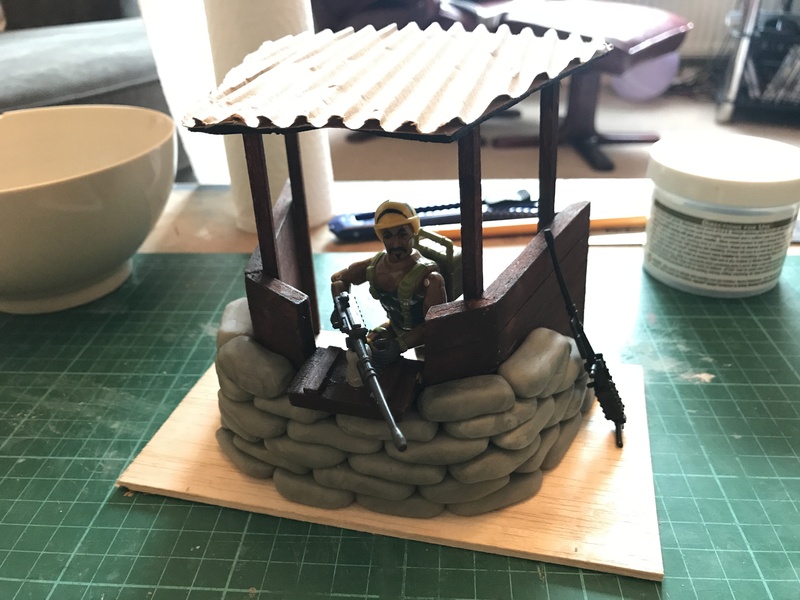 It’s a nice little set which would work well in a diorama, which leads nicely to my next project! 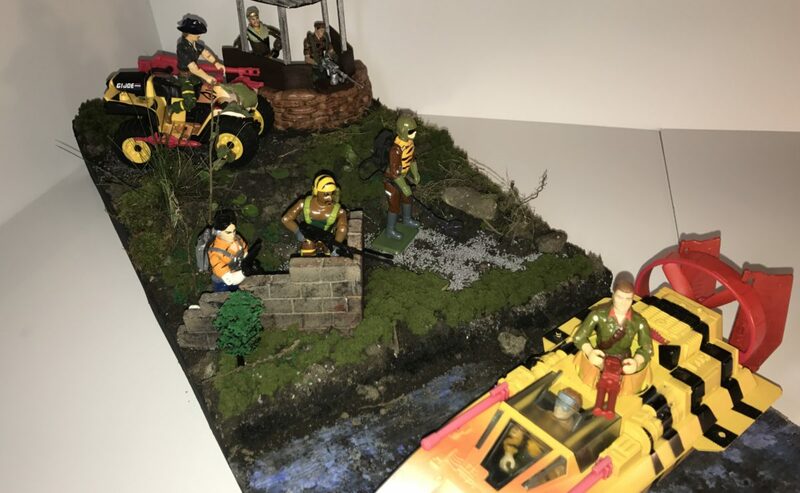 I had looked at purchasing this set but found sellers were asking a ransom price for it, so what am I to do but to make my own! 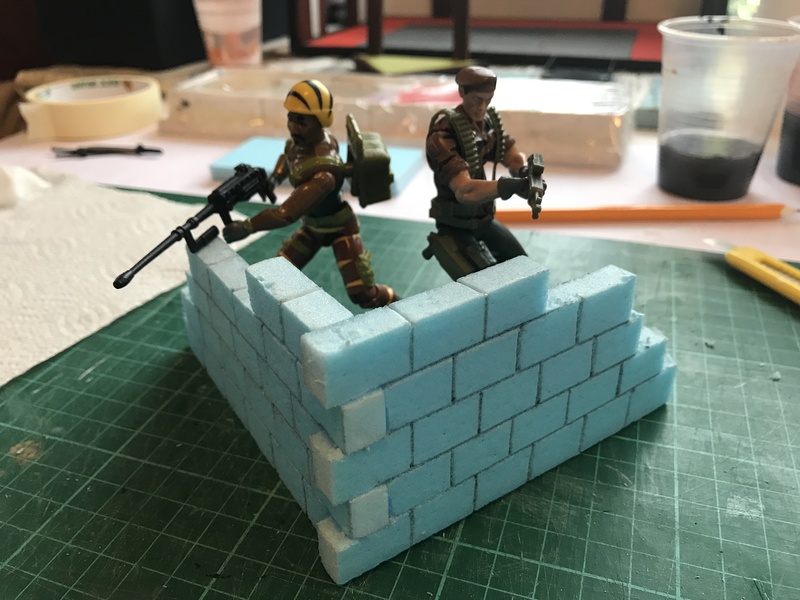 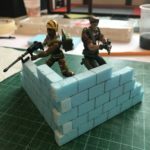 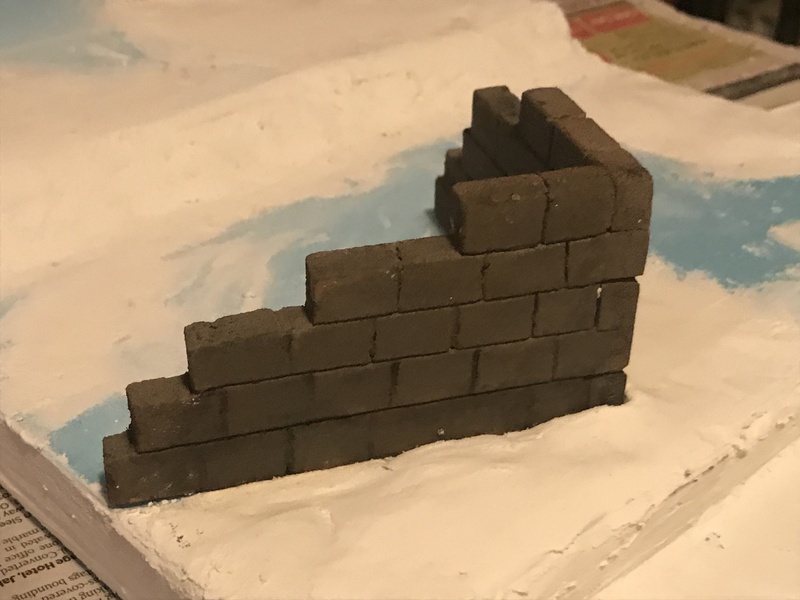 To start off this project I built a wall similar to the Missile Defence Unit, the idea was to combine the two play-sets together. 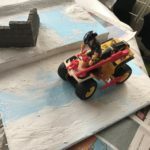 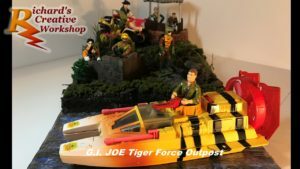 With one wall built, I moved onto the Outpost, looking at pictures of the original toy I saw that the sides are made from “wood”. 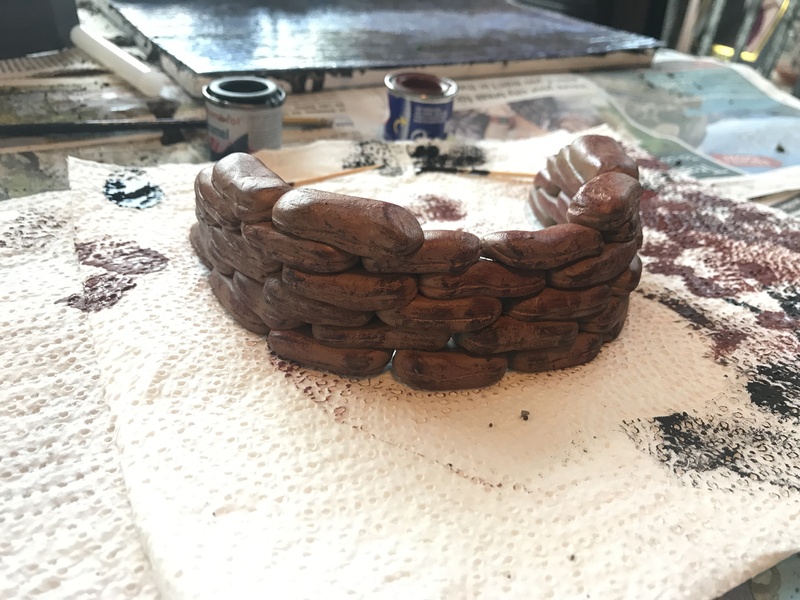 This gave me inspiration to use bolsa wood, cutting out the 2 lengths 2.5″ x 4.5″to build the sides, a 1″ x 1″ square to join the sides together, it is now starting to take shape! 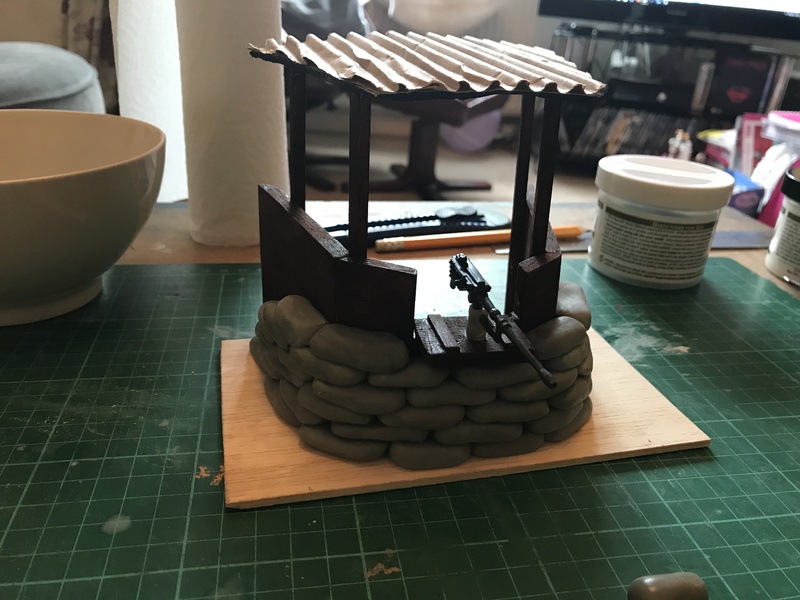 After sanding down the base of the outpost, I stuck on four posts for roof with an adjoining beam between them. 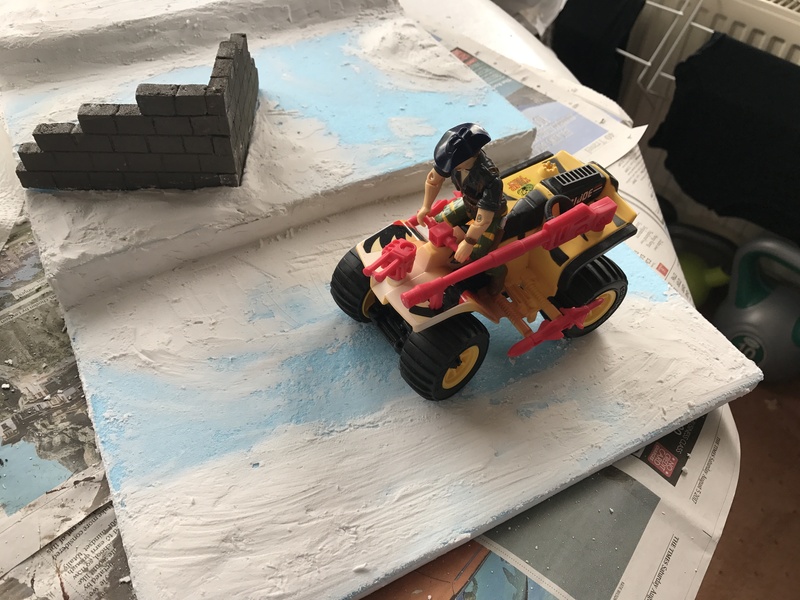 Then taking a piece of foam board and slicing it in half to reduce the thickness, I stuck in some corrugated card on top. 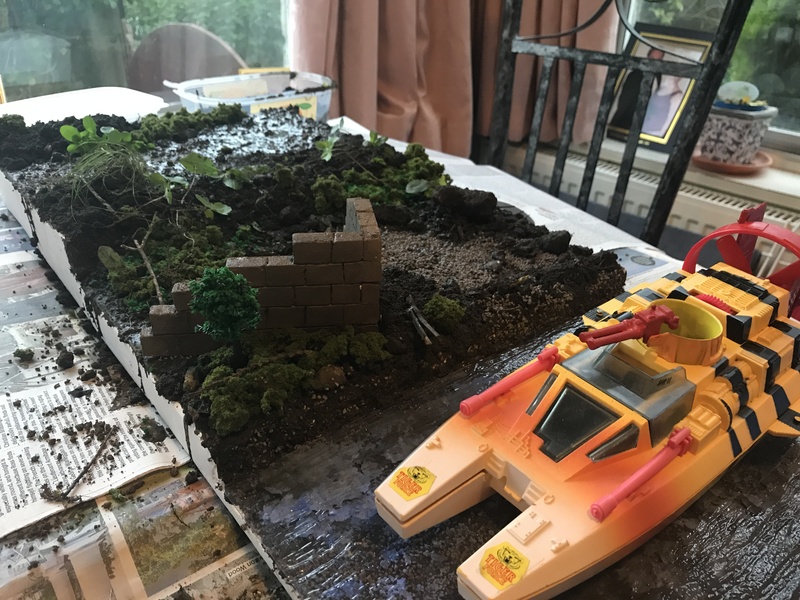 I decided to leave this until tomorrow to paint and work on the landscape. 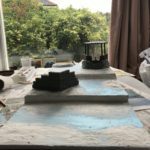 Taking some insulation board and cutting some lengths to build up the height, using filler along the edges. 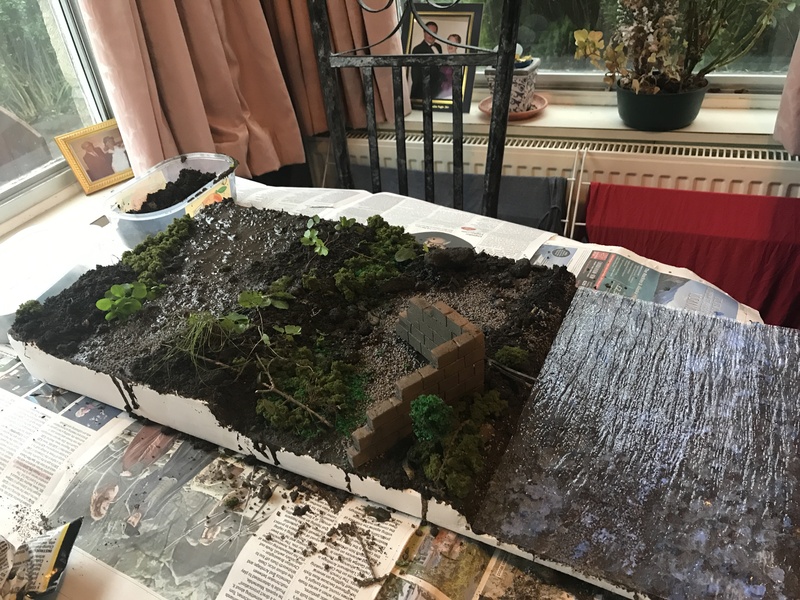 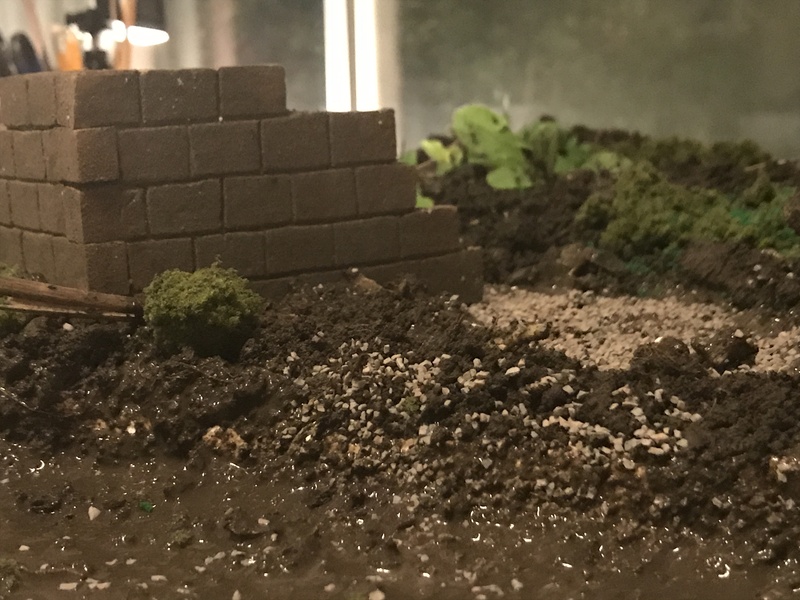 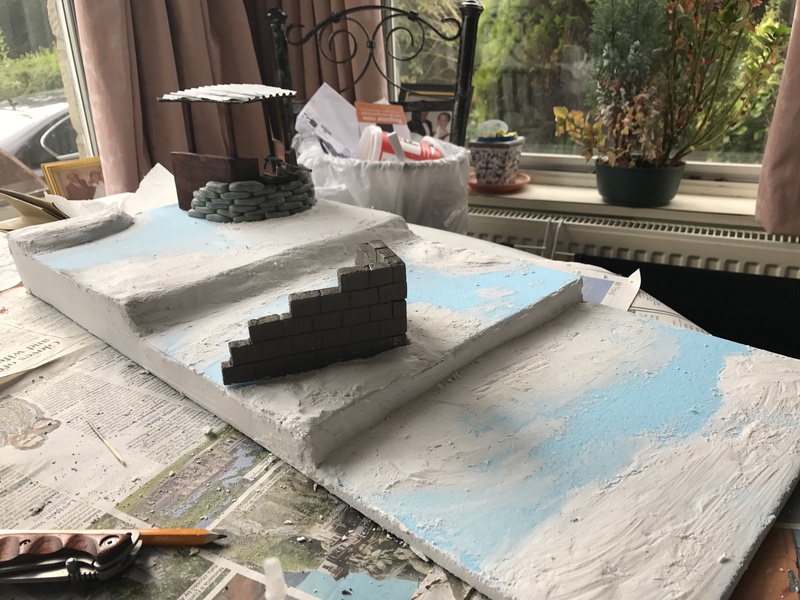 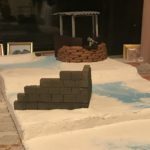 The bottom layer is going to be a river and I’ve ordered the stuff to make it but if it doesn’t arrive on time then I’ll turn this into a road. 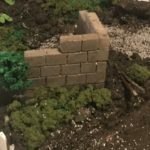 The brick wall will go on the middle level and the outpost will be placed on top level. 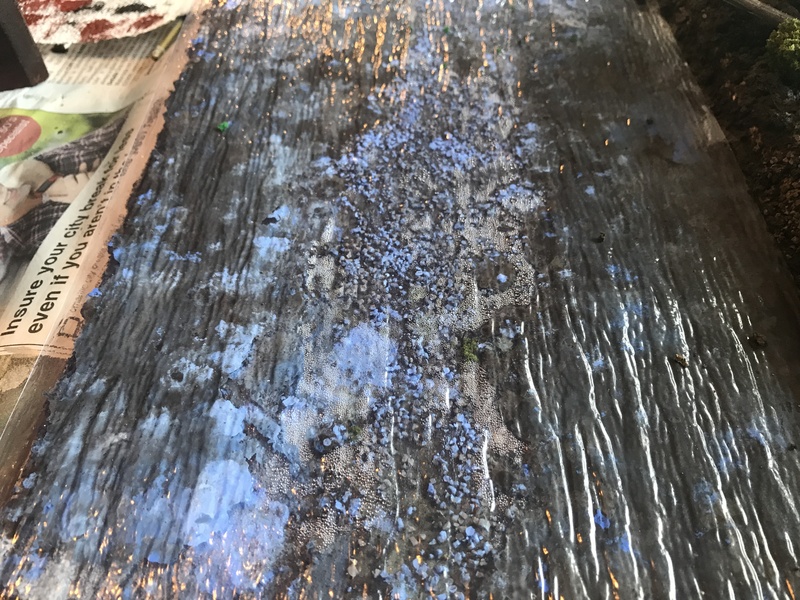 Filler was used around the edges of the base to cover up the layers of foam board. 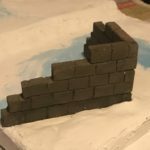 While the filler is drying, first coats of paint have been applied to the brick wall and Outpost. 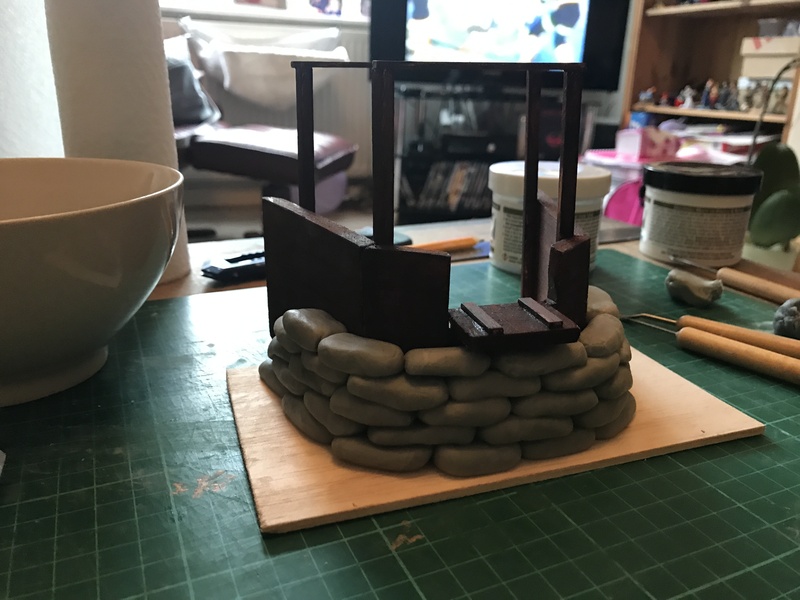 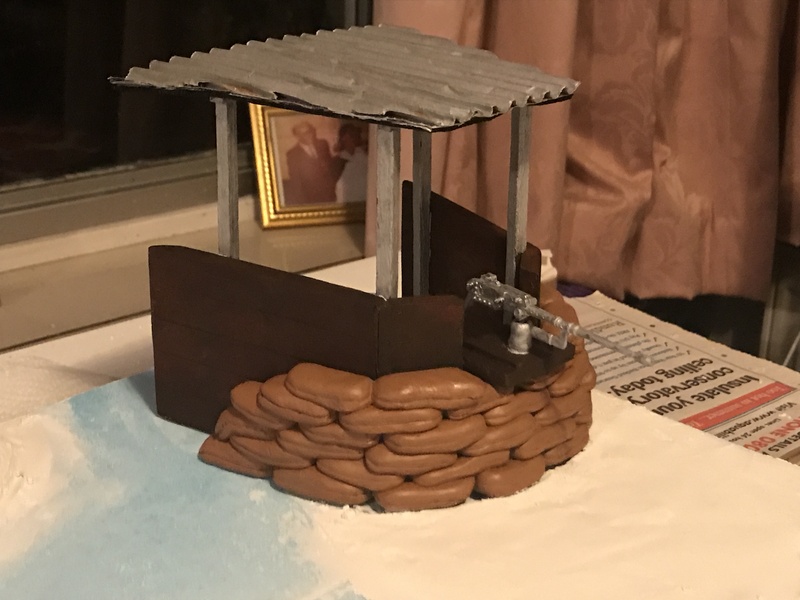 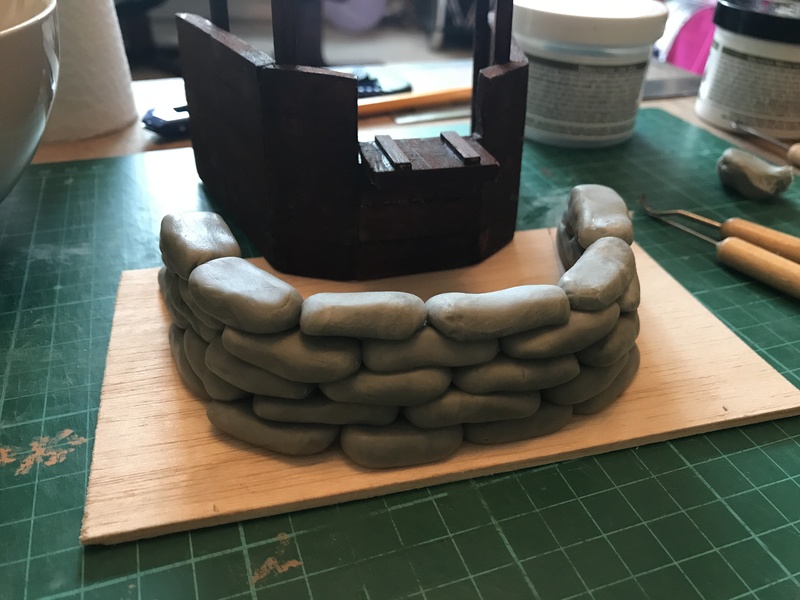 I wanted to try and make the outpost as close the the original as I can, to do this I needed to create sandbags the surround the front of the structure. 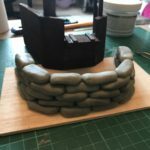 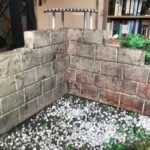 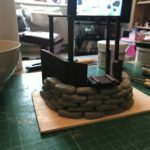 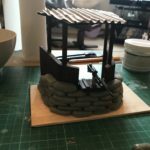 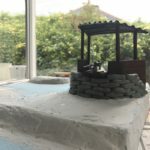 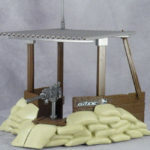 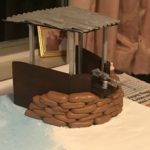 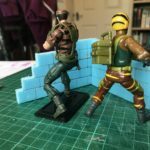 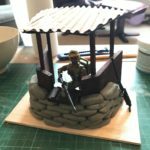 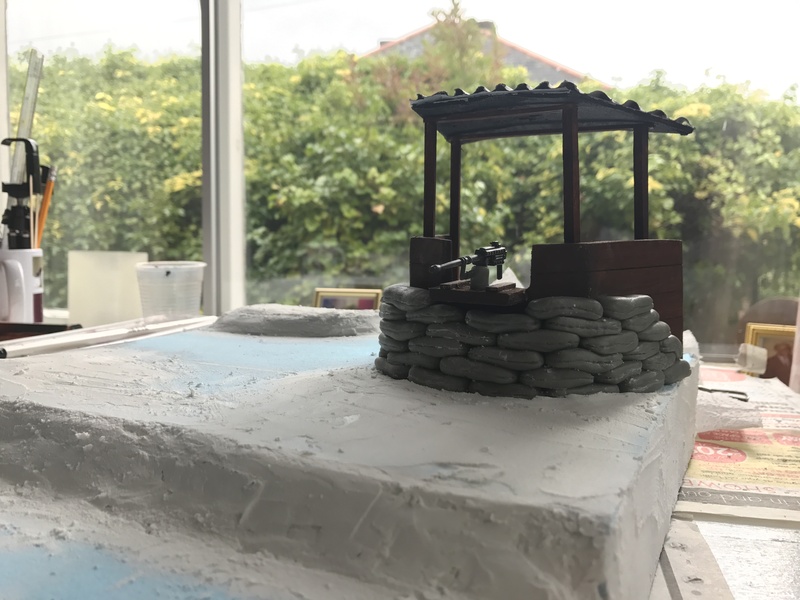 Using Apoxie Sculpt I have individually created each sandbag a placed them around the front of the outpost, building it up until it reaches below the gun emplacement. 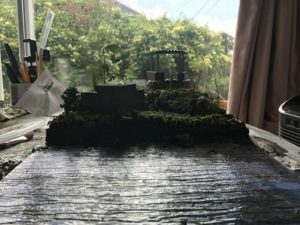 This has been left to cure for the next 24 hours. 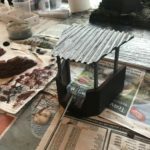 Next a coat of aluminium paint was applied to the roof of the outpost. 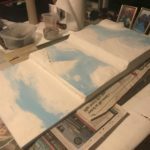 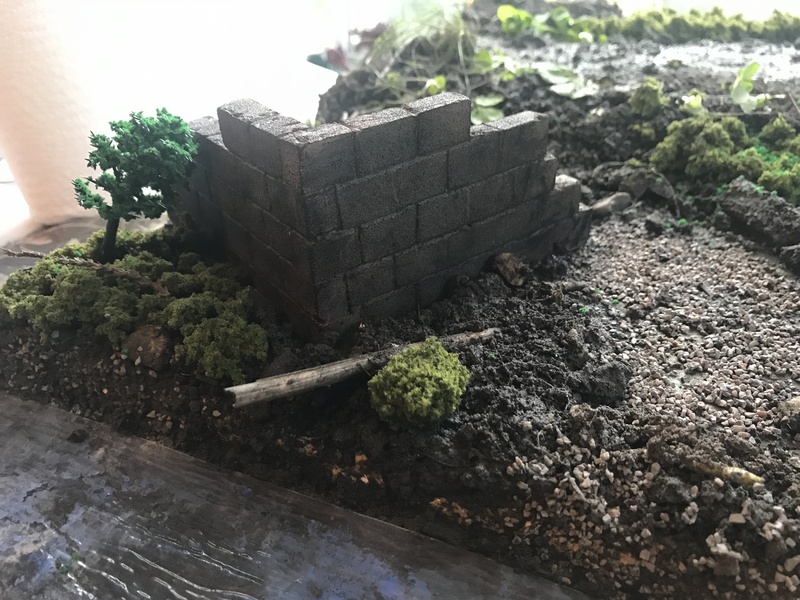 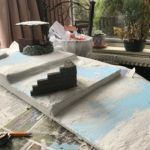 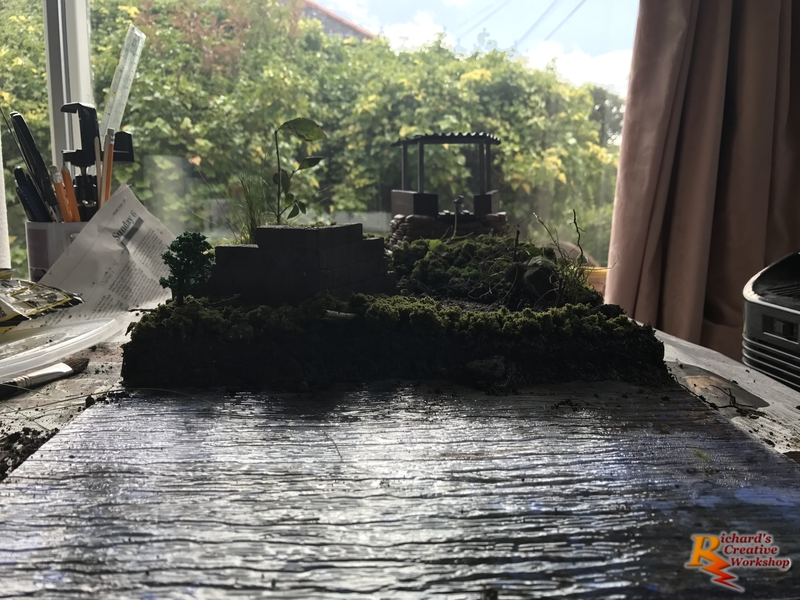 Moving onto the scenery, I used filler to build up contours onto the landscape or otherwise the terrain would be unnaturally flat. 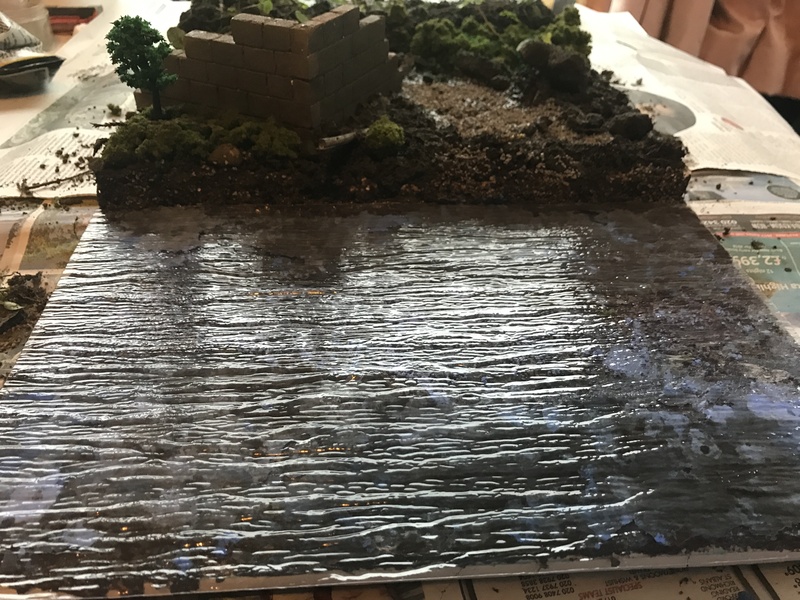 While it is drying I have gently rubbed down the surface to smooth out the terrain. 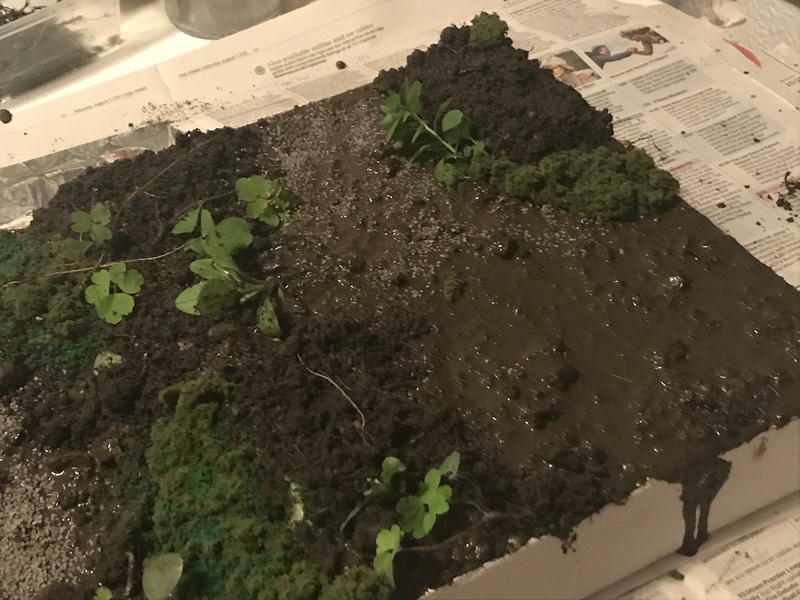 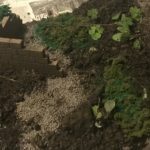 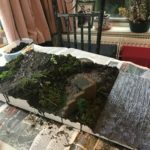 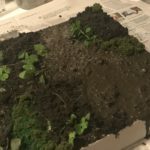 After sanding down the filler, I made up solution of water down PVA glue (7 parts glue to 1 part water), mixed with ordinary dirt from the garden because it’s free. 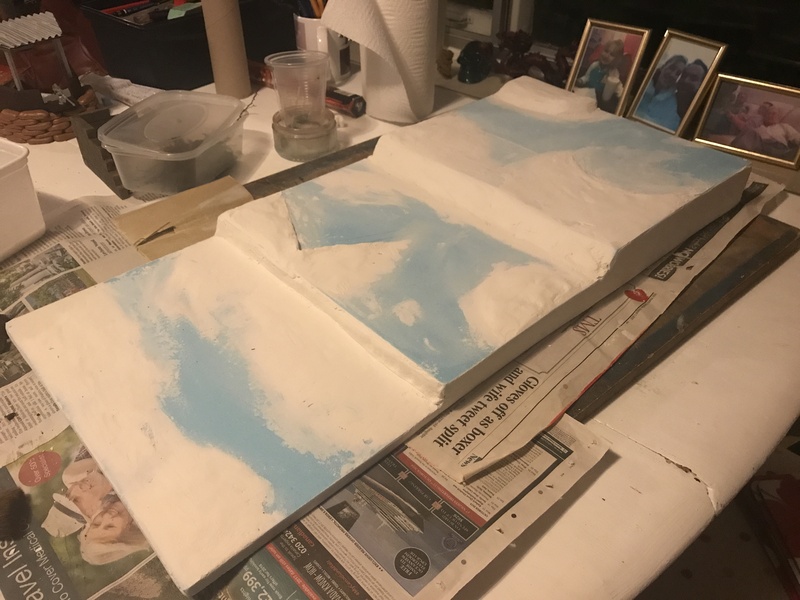 A heavy coating is applied to all the fillered area’s and a lighter coating over the rest. 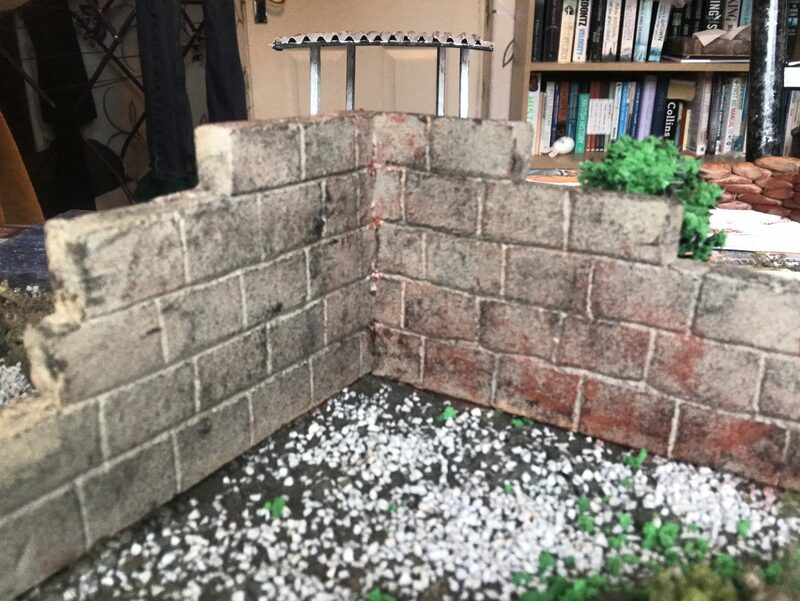 Further dirt is applied to enhance the raised areas, the wall was put into place to bed into the scenery. 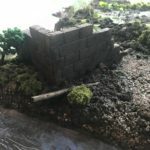 Foliage, twigs and root were dotted around in areas and modelling stone ballast was sprinkled over areas to give the impression of a track and down the centre of the lowest level (in case I wanted to use that as a track also). 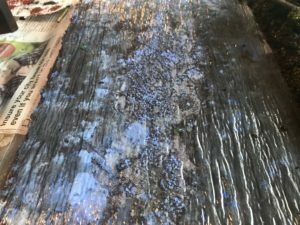 After 8 hours, a few washes of different tones of blues were administered to lower level. 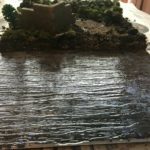 A rippled River water sheet was mounted on top, turning it into a stream. 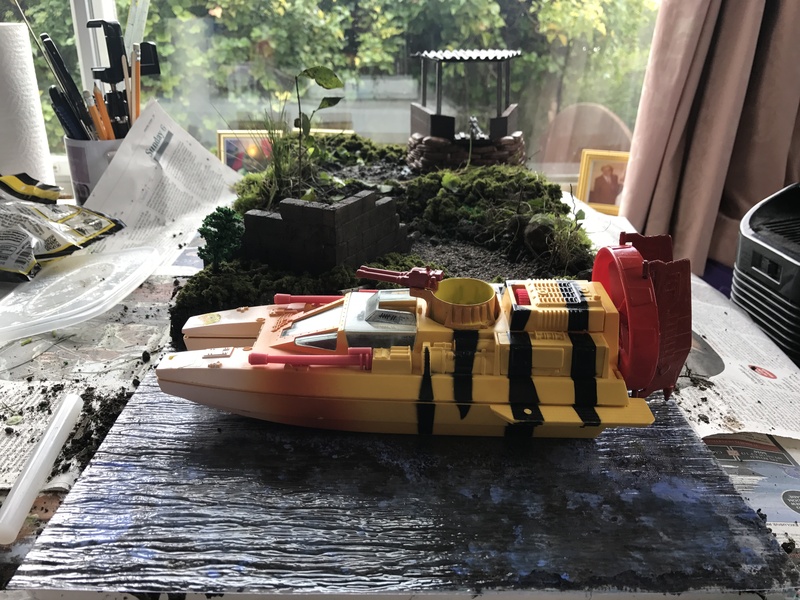 I’ve place the Tiger Shark on top, impressed with how it looks. 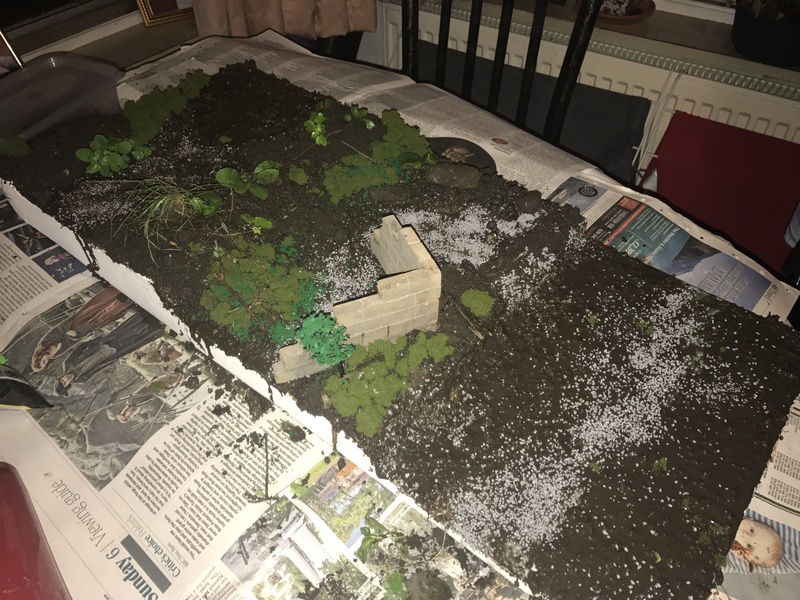 The next part will be removing the excess dirt and administrating a coat of glue over the rest, adding more foliage to the top mound. 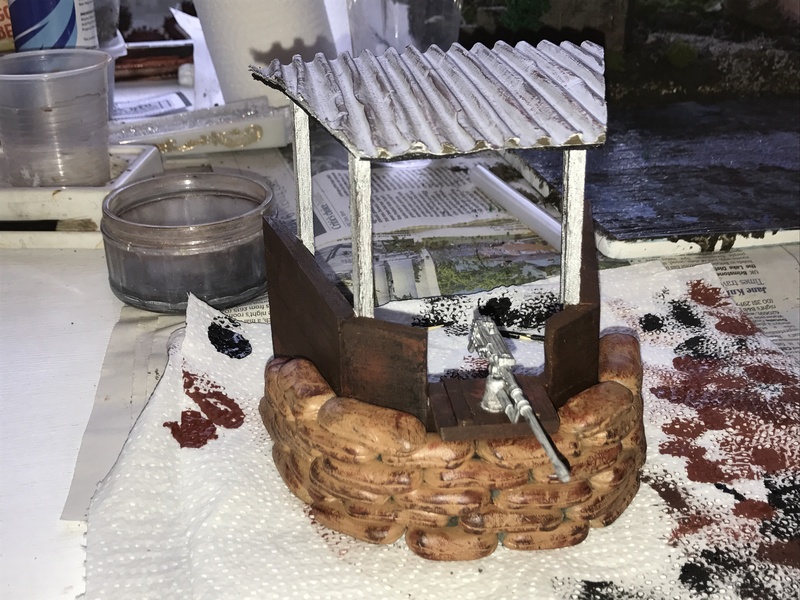 Using a combination on tan brown and black washes, I weathered both the wall, sand bags and the Outpost. 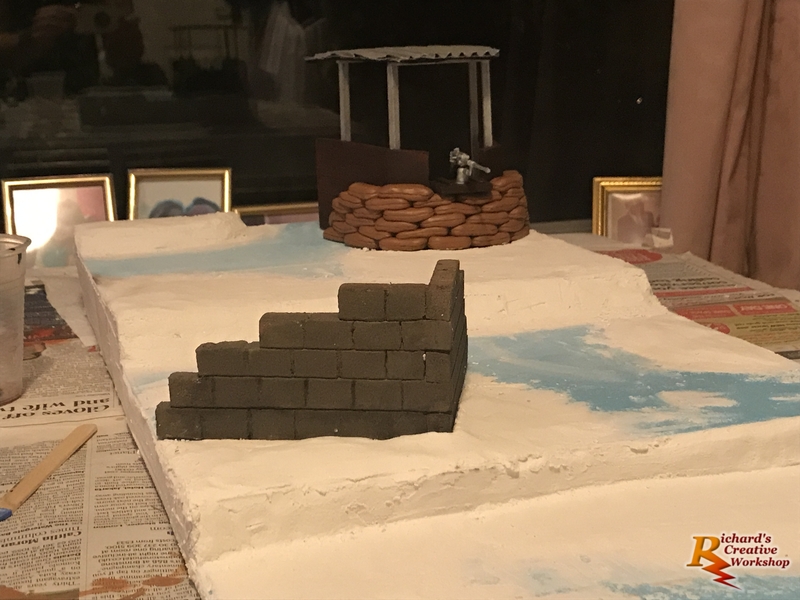 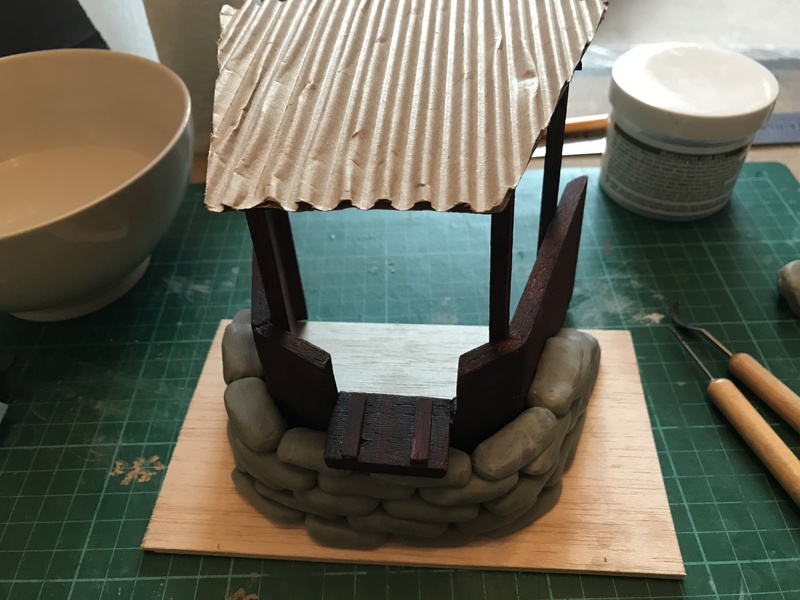 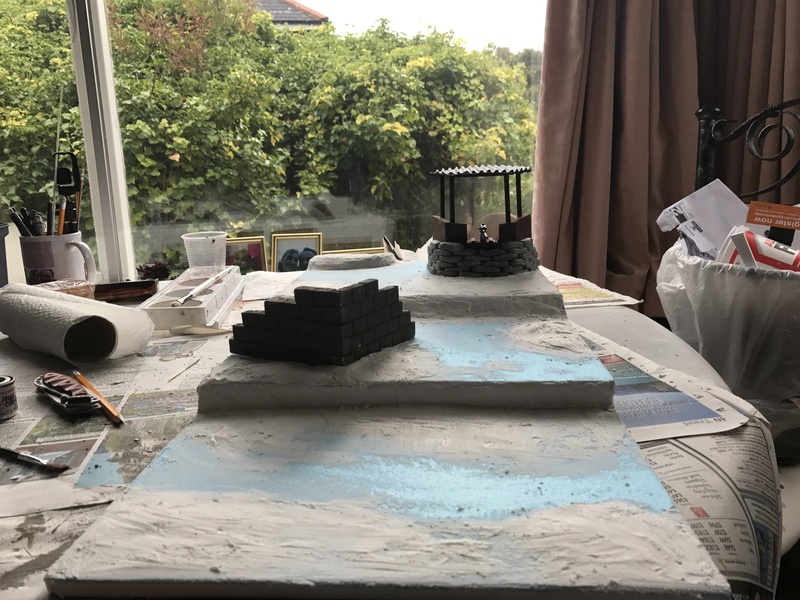 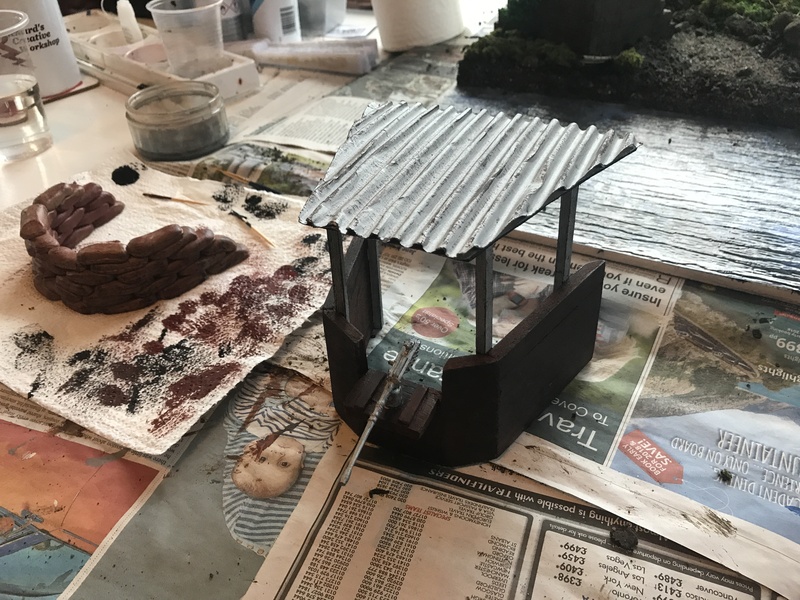 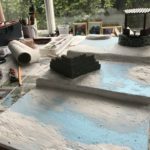 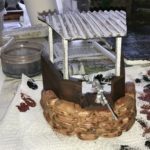 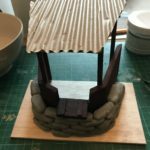 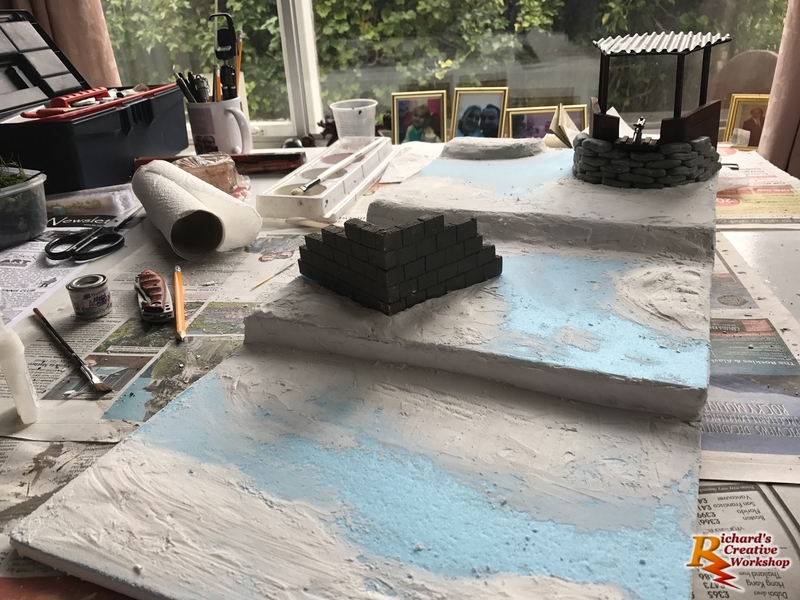 A layer of PVA glue and dirt applied to the base of the lower level, where the river sheet meets bank to blend the sheet into the scene. 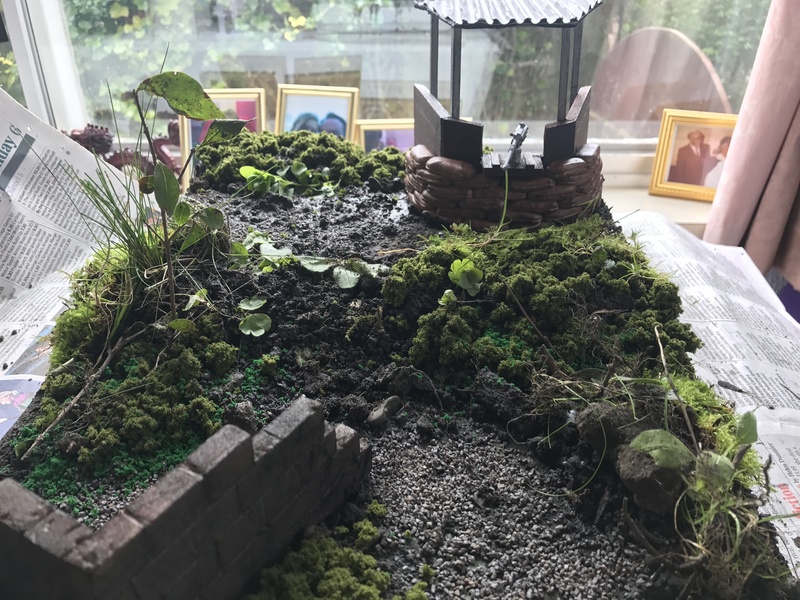 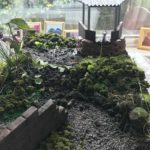 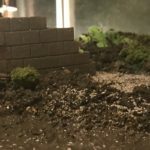 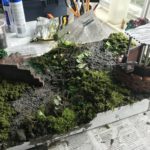 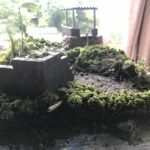 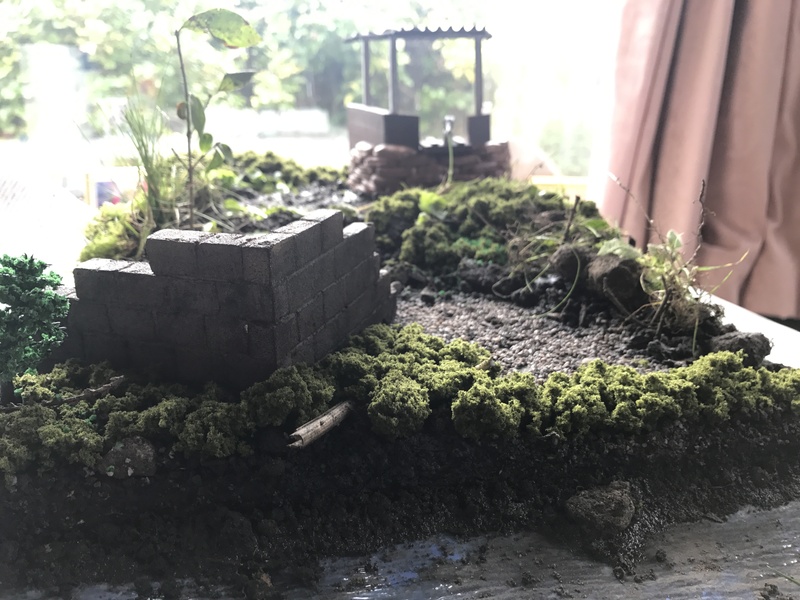 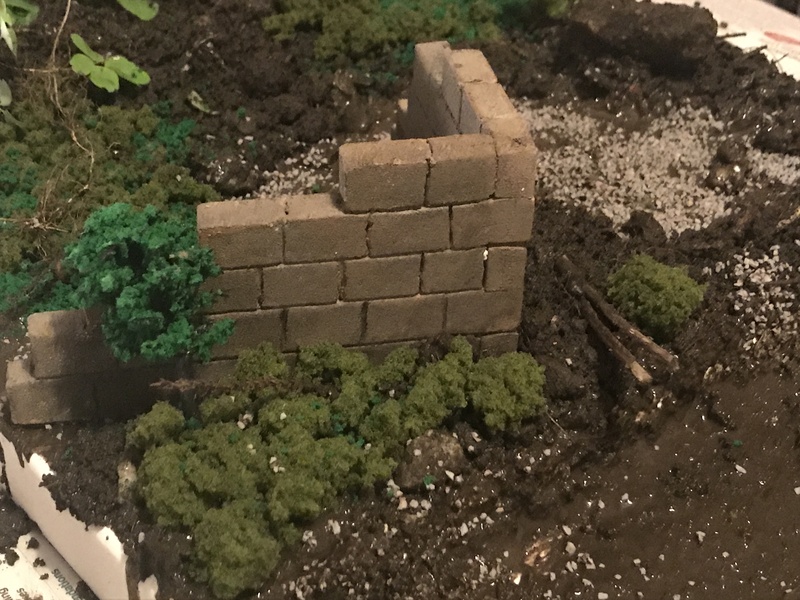 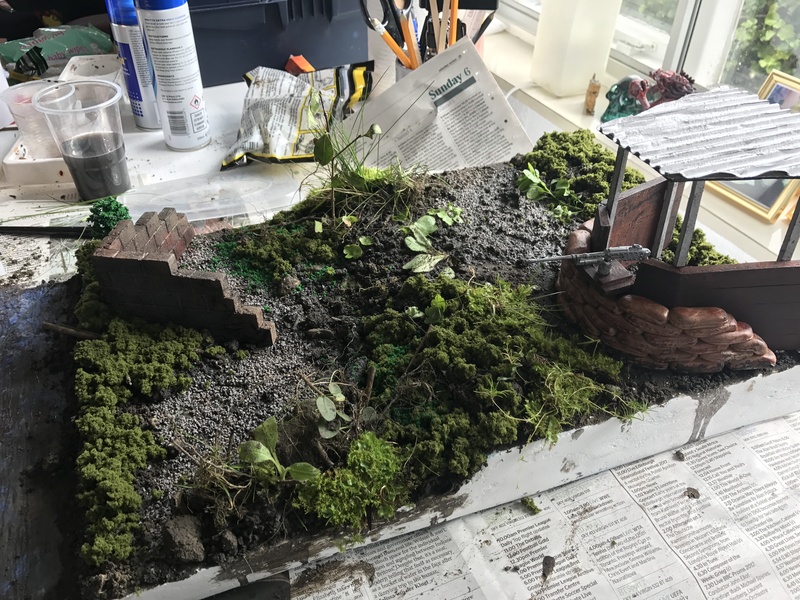 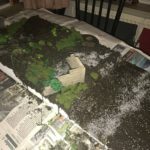 I added more foliage to the top of the river bank and a combination of grass and moss from my garden where applied to the hill linking middles section to the top. 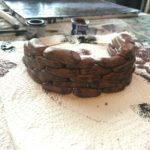 Using moss, bits of twigs, grass and roots, I dresses the large rock opposite the wall using PVA. 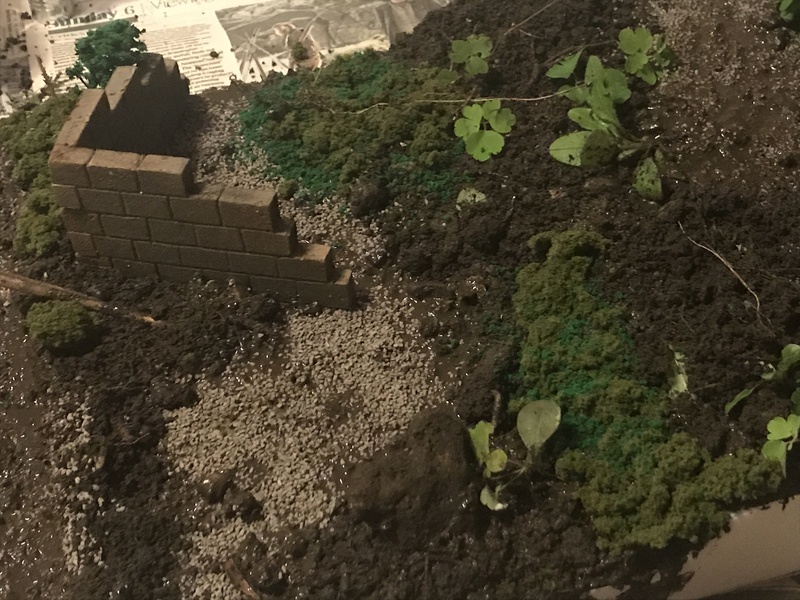 The small hill at the very top, I took away the loose dirt and stuck more foliage down. 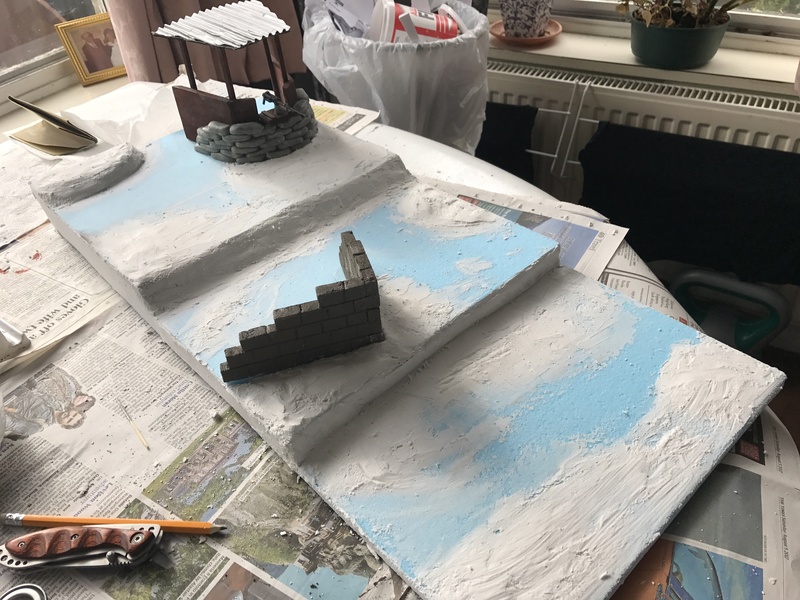 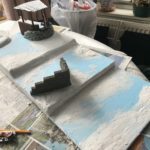 Once all the glue has dried, the next job will be using hot glue and applying it to around the sides of the river sheet and trimming off the excess and then painting the base. 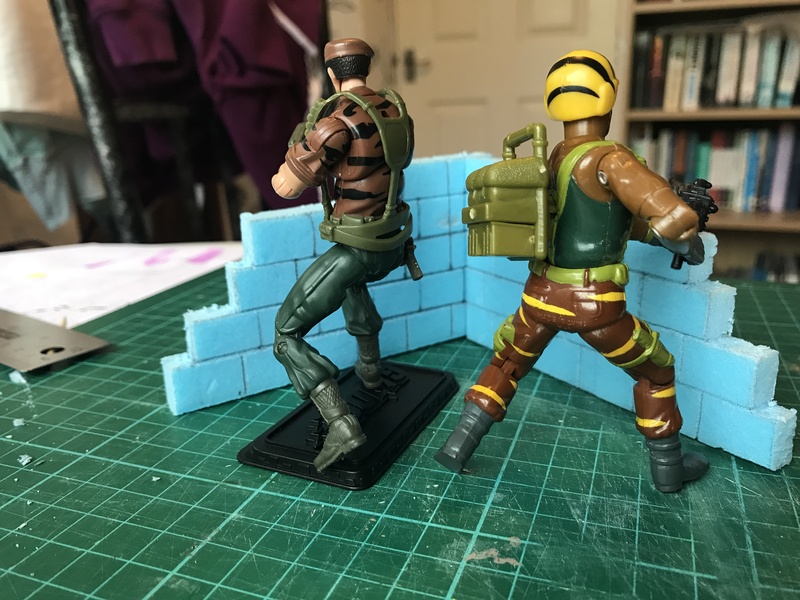 Almost ready for my Tiger Force Joes to take their positions to defend their outpost. 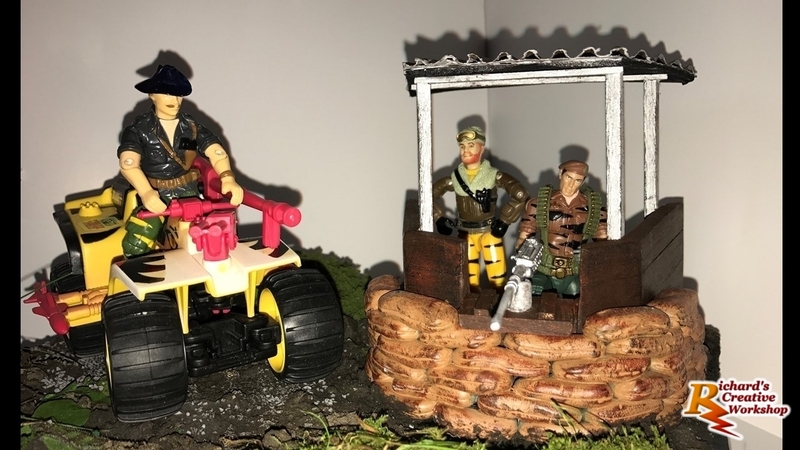 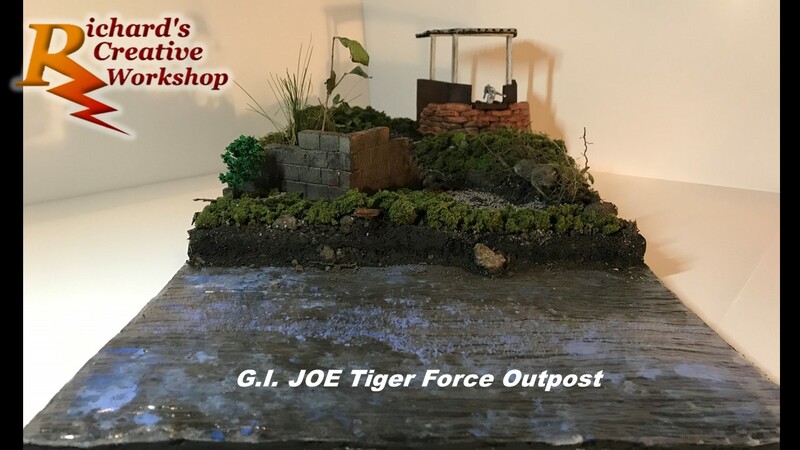 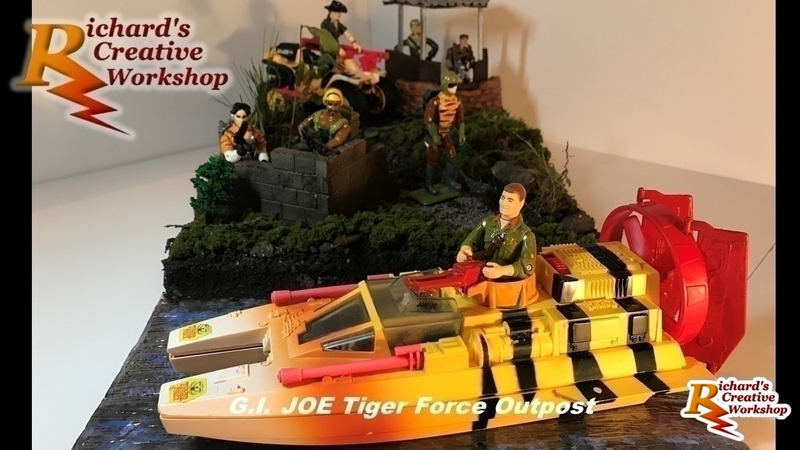 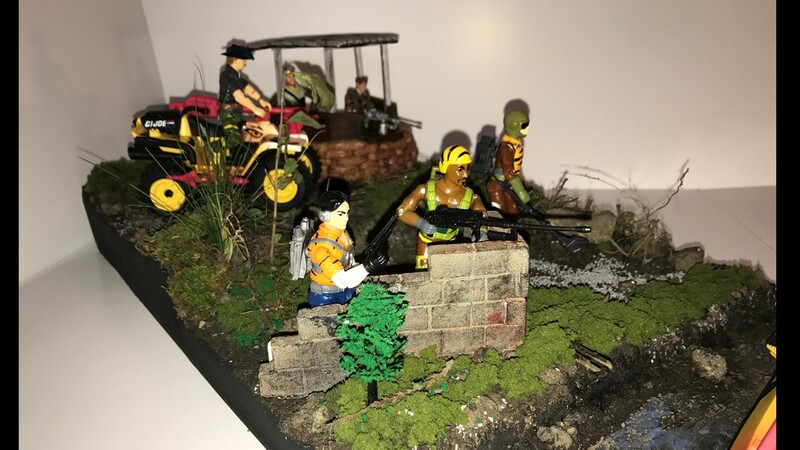 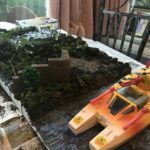 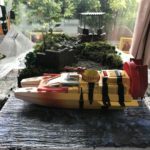 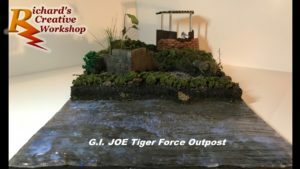 After finishing the final touches, it is with great pleasure to announce the completion of the Tiger Force Outpost. I will be exhibiting this and a collection of my other works this Sunday at Bradford Unleashed.